The ResQLink series does not require a subscription but must be registered with the country's national authority. 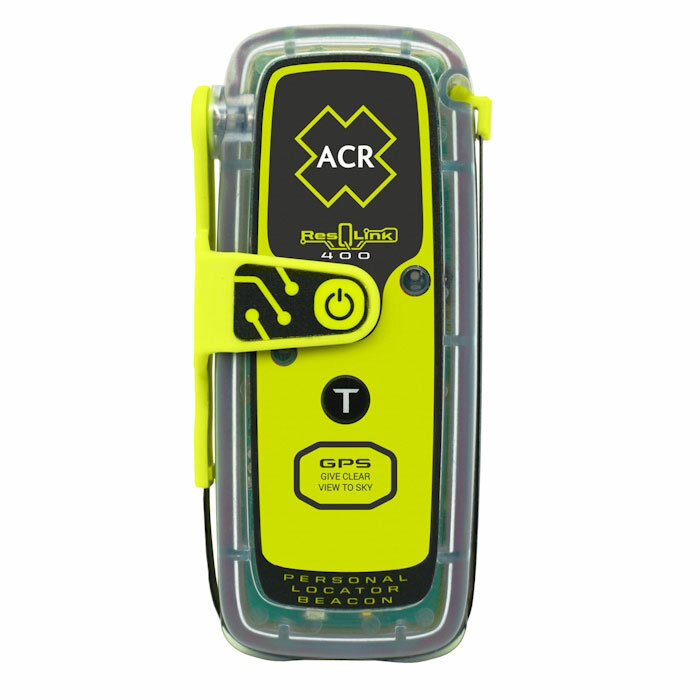 As a leader in life-saving products for both professional and recreational use, ACR provides unparalleled safety and peace of mind with the ResQLink 400 Personal Locator Beacon. Operates on the three Cospas-Sarsat satellite systems including the new MEOSAR, ensuring they will offer the near instantaneous signal detection and transmission enabled by the global MEOSAR satellites and upgraded ground-station components. Using the next-gen network, anyone activating a ResQLink PLB can expect their beacon to be located within 100 meters (328 feet), 95% of the time, within 5 minutes of the distress signal. The new ResQLink series also incorporate a multi-constellation receiver utilizing both the Galileo Global Navigation Satellite System (GNSS) as well as the GPS Satellite network for faster location and improved accuracy. With three levels of integrated signal technology GPS positioning, a powerful 406 MHz signal, and 121.5 MHz homing capability the ResQLink 400 quickly and accurately relays your position to a worldwide network of search and rescue satellites. Additionally, a built-in strobe and infrared strobe facilitate nighttime, or other low visibility rescues. Wherever your adventure takes you, whether its a trip to the highest mountain peaks, the most undiscovered terrain, or the vastest of oceans, rest assured that the ResQLink 400 always activates easily. Simply deploy the antenna, press the ON button, and the beacon will do the rest for you by effortlessly guiding rescuers to within 100 meters or less of your position. Waterproof: 16.40 ft (5m) @ 1 hr., 33 ft (10m) @ 10 min. 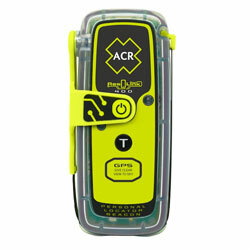 Note: This product is programed for registration with the U.S. Search & Rescue System. Please call our Contact Center or email Customer Service for additional information.